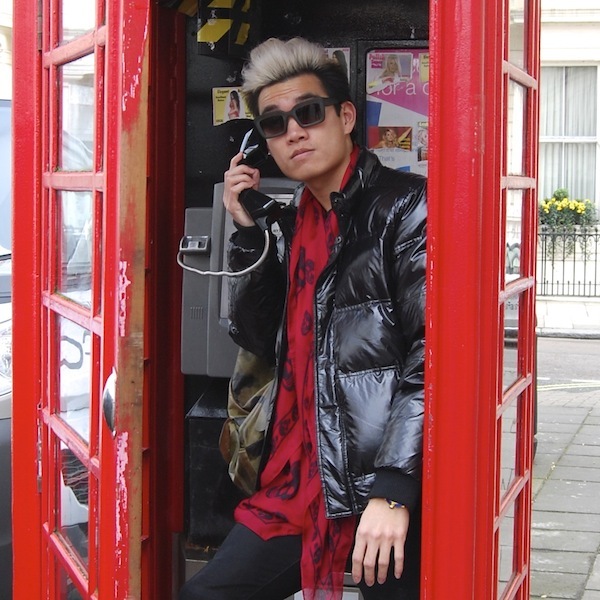 When in London, you have to take a typical tourist payphone photo, right? Of course, traveling with a group of fashion folk, we turned it into a payphone photoshoot. 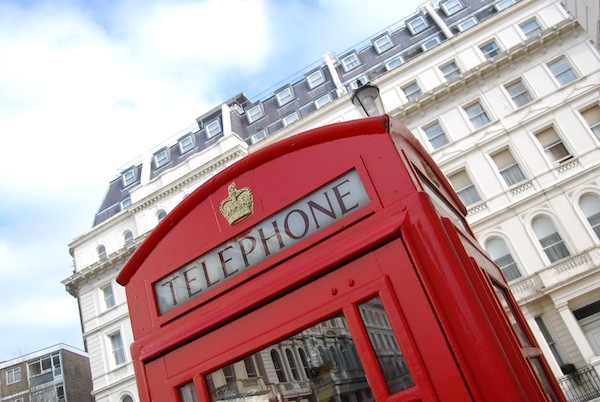 So, I dedicate this post to London payphones and being a tourist. This look was a little bit biker, a little bit chic and a whole lot of black, with a pop of cranberry red. Coordinating with the phonebooth was purely coincidental, I swear! That day was clouds and sun, but quite windy and cold, so a down jacket was the way to go. And I must say, these boots were made for walking. I’ve had them for a few years, but this winter I had them resoled and now they’re just like new, but well broken in for comfort. And one from instagram with my buddy Quentin (@avenueswank)!